“Welcome to Jurassic Park”- a theme park with a difference and a bite. 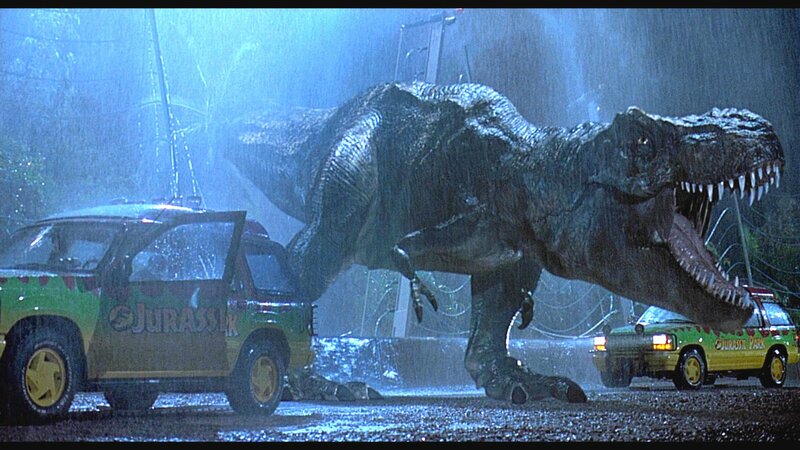 In 1993, when this blockbuster was released it made such a splash, CGI technology was making massive leaps in the special effects world and we, the public, were getting to see things we never thought we would. 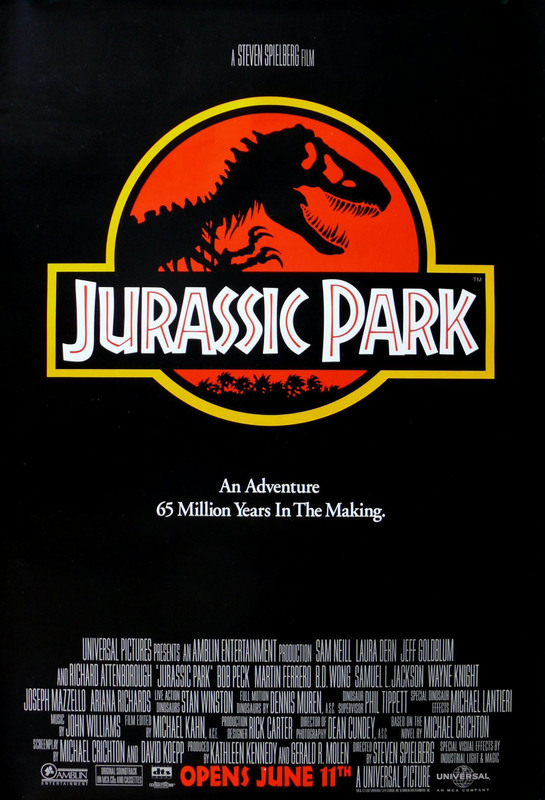 The dinosaurs looked realer than ever before coupling the visual with the sounds and the incredible direction of Steven Spielberg, it kicked open the door of room ‘what is possible’ and declared itself a resident. Pretty much everyone has seen this so this is a throwback review, it was the first time I had seen it in 20 years and what a ride it still is. It is amazing how brilliantly Mr Spielberg handles the set pieces and manages to ratchet up the tension. Some of the acting is a little slippy sloppy, veering off into cartoon territory but this is outweighed by the sheer scope of the film. Special acting mentions go to Bob Peck “Clever girl” and Jeff Goldblum having the time of his life tic’ing away as the rock star scientist. Based on the novel by Michael Crichton, this does what it can to translate the excitement of the book onto celluloid whilst at the same time allowing the children in. Dean Cundey is on cinematographic duties and manages to shoot us a world that looks epic, real and scary. This is the ultimate theme park ride realised as a film, in the tradition of Westworld and does what it says on the box. Finally, the mighty John Williams is on usual Spielberg soundtrack duties and creates a big score for a big film; pure iconography. I watched it as a precursor to the watching Jurassic World and it remains highly enjoyable. We think alike, I scored this exactly the same. Even though the characters are a little ‘cookie-cutter’ (the kids, Laura Dern and Sam Neill) the strengths far outweigh the flaws. The jaw-dropping sight of the dinos, as well as Williams’ music and Speilberg’s vision. It’s a great ride! Totally, the acting and characters end up too hokey for my liking but as you say, strengths outweigh.